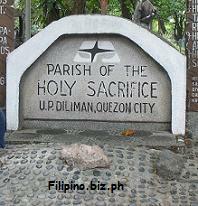 Built at the instance of U.P. Chaplain John P. Delaney, S.J., 1955. 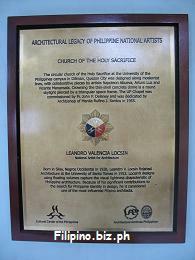 Architectural design by Leandro V. Locsin. 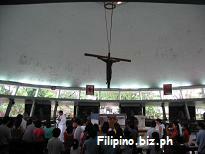 Murals of the Stations of the Cross by Vicente S. Manansala assisted by Kiukok; Napoleon V. Abueva; River of Life Floor Terrazzo by Arturo R. Luz. 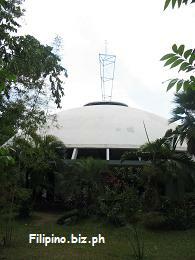 Construction, David M. Consunji and Felisberto G. Reyer; thin-shell dome design Alfredo L. Juinio. 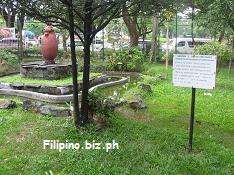 Water system Lamberto Un Ocampo, Electrical System Jose M. Segovia and Agapito S. Pineda. 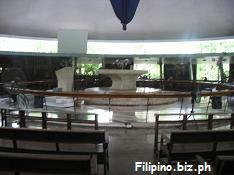 An outstanding example of the contemporary architecture of the 1950's as the first circular chapel and first thin-shell dome in the country. 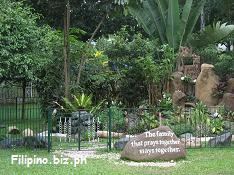 A living monument to the artistry by proclaimed national artists and ingenuity by the UP College of Engineering. 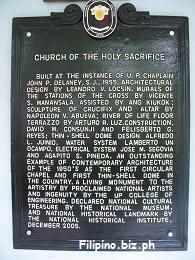 Declared National Cultural Treasure by the National Museum and National Historical Landmark by the National Historical Institute, December 2005.